What is a Chalk Couture Independent Designer? Do you enjoy being creative and sharing your creativity with others? Do you walk through stores like Home Goods, Michael's, Hobby Lobby, etc. and eye all the wall hangings? Do love Chalkboard decor? Do you wish you had a little more spending money, could pay for a vacation basically dream of something bigger? If so, then Chalk Couture may be a perfect fit! As a company that just celebrated it's 1st anniversary (July 2018), you truly are at the birth of an amazing company and opportunity. Chalk Couture is a direct sales company specializing in DIY home decor. Direct sales simply means consumer purchase the products through an Independent Chalk Couture Designer (what we are called). Have you been to a Pampered Chef party, Tupperware Party, Norwex, Thirty-one etc.? If so, then you have already taken part in direct-sales but as the consumer. 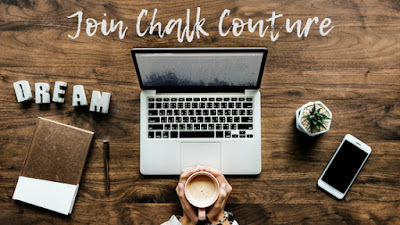 Within the direct sales industry or any industry for that matter, Chalk Couture is unique. Do you know that the creative industry is worth $44 Billion dollars and growing! Wow! 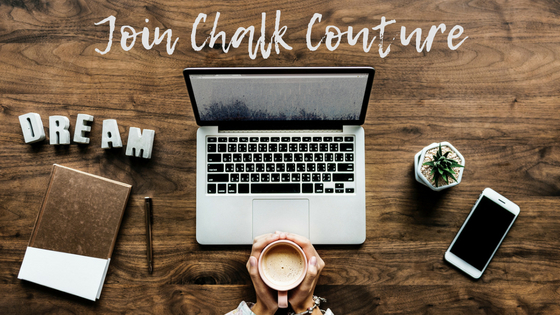 When I signed up for Chalk Couture, I was not looking for a business opportunity. I was at the Pinner's Conference doing what I love, exploring and creating in the crafting world. When I discovered the Chalk Couture booth I was amazed! One, I had to get my hands on these products and two I realized the incredible opportunity it presented. Two weeks later, I signed up and I am now on a pursuit to set and achieve big dreams and goals. Are you ready to be apart of this ground-floor opportunity, then keep reading. You can also check my FAQ's page to read about the the commitment. How many hours do you want to work your business? What do you want to do with your income? ie: make a car payment, pay for private school, save for vacation etc. How much money do you need do do that? What events do you want to focus on? Finally How can I help you to achieve this? Be sure to check my FAQ's page for your a more in depth look at being an Independent Chalk Couture Designer. Contact me for more info or if your're ready, click Enroll and let's get going on this journey together!